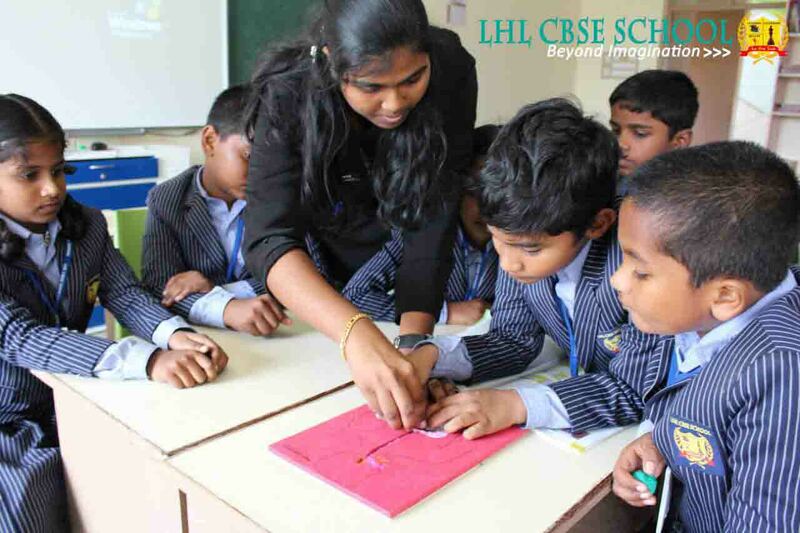 LHL believes in the sustenance of learning which gets customized in students who experience it individually. Persistently working with our motto “Beyond Imagination”, we are working out with an aim to carve our LHLites to be successful successors of Dr.A.P.J Abdul Kalam. Science lab provides the platform for such learning, where the equipment allows students to interact directly with the data gathered. They get a first-hand learning experience by performing various experiments on their own. Students are encouraged to prepare models on their own, using their creativity and understanding of the different scientific theories and concepts which they have learnt. Several complicated science theories and concepts are easily understood by students once they involve themselves in experimenting them. Anatomy models, physics science kits, and chemistry science kits for instance make it easy to understand the otherwise complex theories of science. Obviously, this debut experience at school kindles the students' analytical ability which promotes their research interest at the later stage of education.